Welcome to the 2018-2019 school year! We welcome all new and current families to Clarendon School. 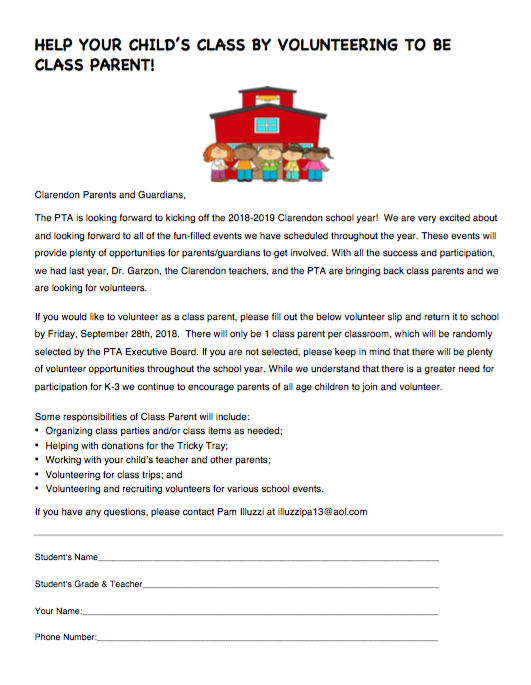 As the PTA, we look forward to a successful school year for all parents, students, and teachers. Below, are a few of the upcoming events for this school year and the PTA membership form. We would love 100% PTA membership! This site will be updated as the year progresses.